Mark your calendar for Reversing Diabetes Action Day on April 25th 2009!If you have a loved one who is a diabetic please share this wonderful information with them. There is a natural cure for diabetes! Simply Raw: Reversing Diabetes in 30 Days is an independent documentary film that chronicles six Americans with diabetes who switch to a diet consisting entirely of vegan, organic, uncooked food in order to reverse disease without pharmaceutical medication. The six are challenged to give up meat, dairy, sugar, alcohol, nicotine, caffeine, soda, junk food, fast food, processed food, packaged food, and even cooked food for 30 days. We get to see each participant's remarkable journey and the medical, physical, and emotional transformations brought on by this diet and lifestyle change. We witness moments of struggle, support, and hope as what is revealed, with startling clarity, is that diet can reverse disease and change lives.Additional wisdom is provided throughout the film by Morgan Spurlock, Woody Harrelson, Anthony Robbins, Rev. Michael Beckwith, and Doctors Fred Bisci, Joel Furman, and Gabriel Cousens. SEE "SIMPLY RAW" TRAILERPlease help spread the word about reversing diabetes naturally! 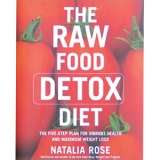 Order your copy today for ONLY $29.95 and receive your FREE Bonuses at http://www.rawfor30days.com/RawFor30/ReverseDiabetes.html!